EWM offers full service equipment flexibility, to best serve our customer’s needs. 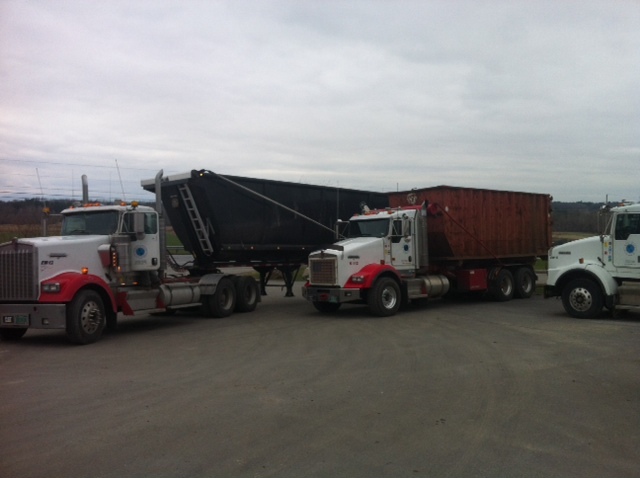 We have a fleet of trucks that can deliver you a 20, 30 or 40 yard roll-off container for your recycling needs. If your location requires smaller solutions, we can provide customized options that may include gaylord containers or pallets. Further, some trucks have dedicated grapple attachments, which allow us to access and load metals that are often in remote or tight locations. Finally, we have mobile tin presses, which allow us the ability to work at larger recycling sites, such as at a municipality or district area, and prepare materials on site for direct shipping. Whatever your recycling needs or special circumstances, we have the resources and experience to efficiently handle your metals, glass, papers and plastic recycling needs.